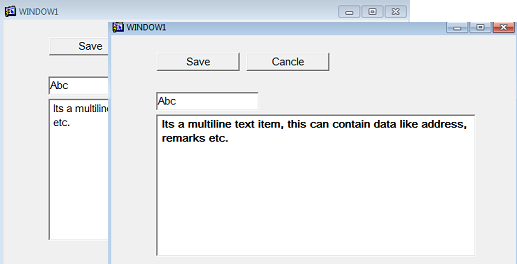 Change the font size and weight of text items and push buttons on mouse hover in Oracle Forms. An example is given below to highlight the text in text items and highlight the label of a push button item at run time whenever mouse enters or leave, by using set_item_property and get_item_property command to set the Font_Size and Font_Weight property. The code is written on When-Mouse-Enter trigger and on When-Mouse-Leave trigger.